Threes is a tiny puzzle that grows on you. ⌘ Apple Game of the Year 2014!! Explore our little game's deep challenge and grow your mind beyond imagination. Optimized for iOS8 and human brains. Universal app for iPhone and iPads. 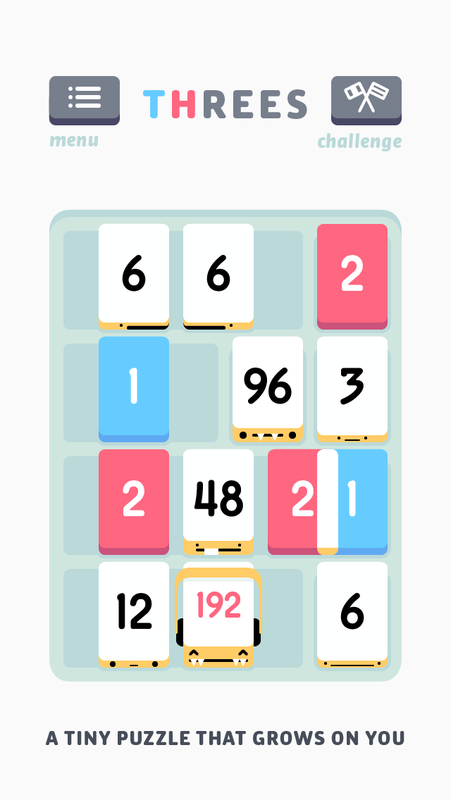 Threes grows with you and you'll grow with Threes.